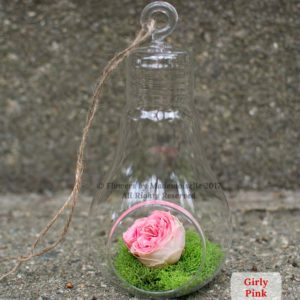 Amazing but true: a scented preserved rose! 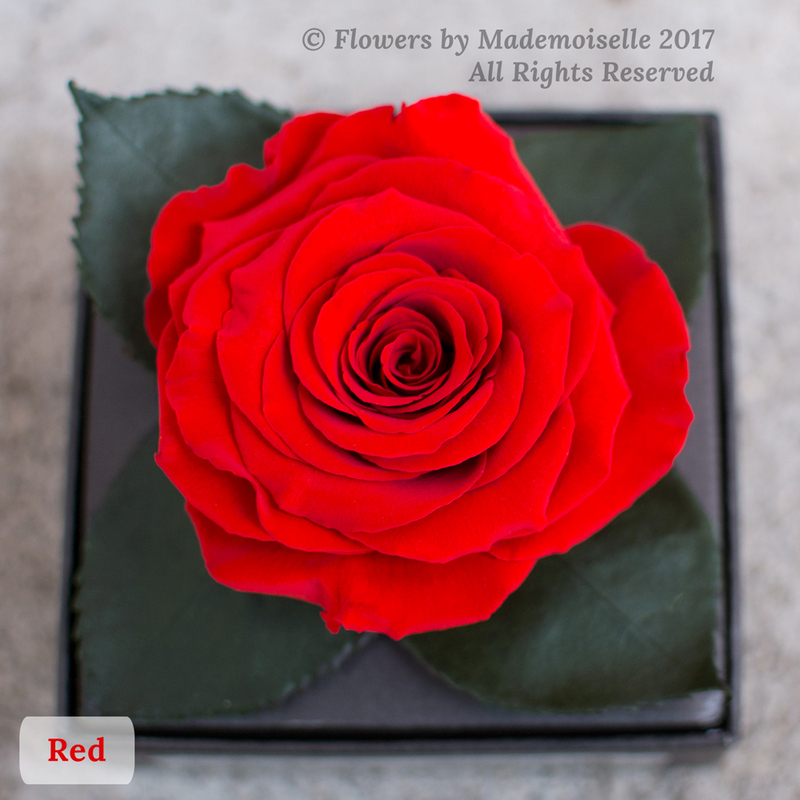 Admire the gorgeous fully open rose with its leaves, then open the box and enjoy its delicate Centifolia Rose fragrance. 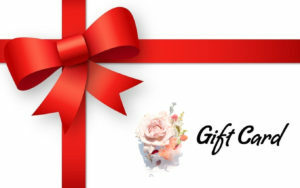 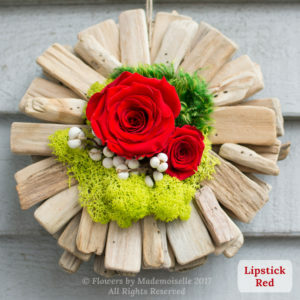 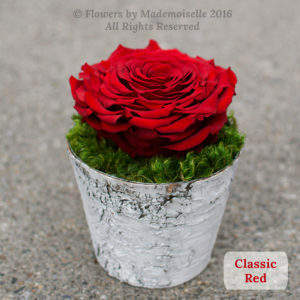 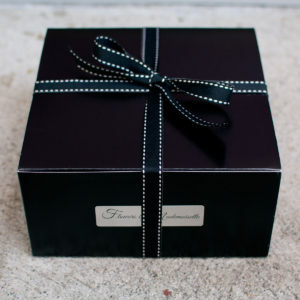 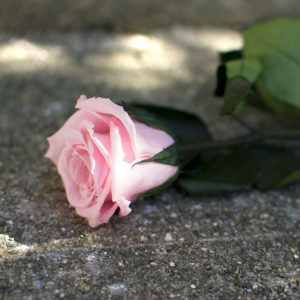 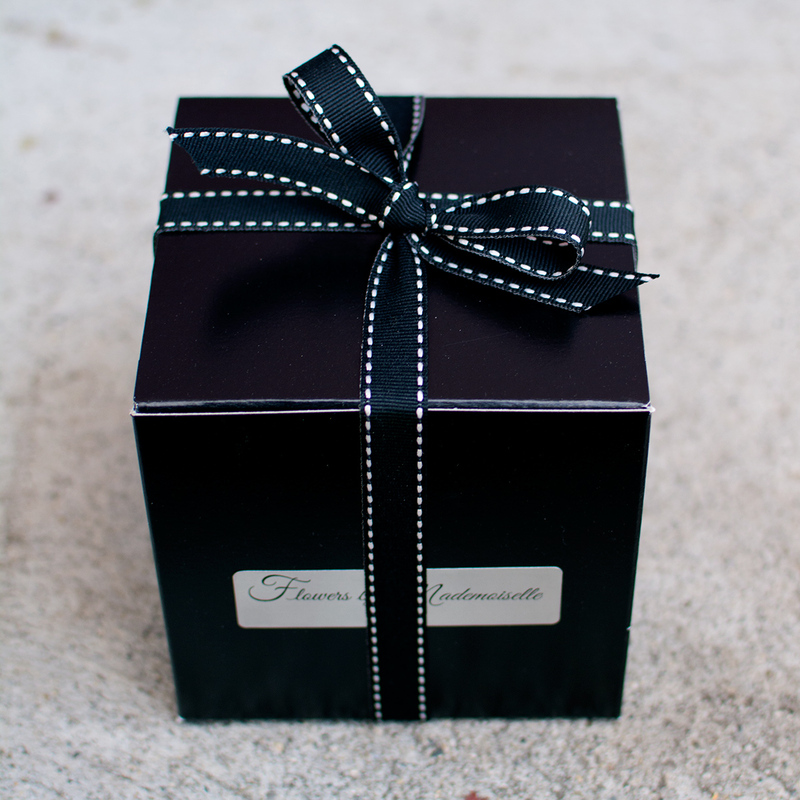 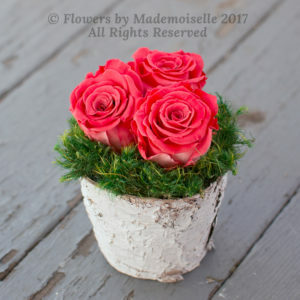 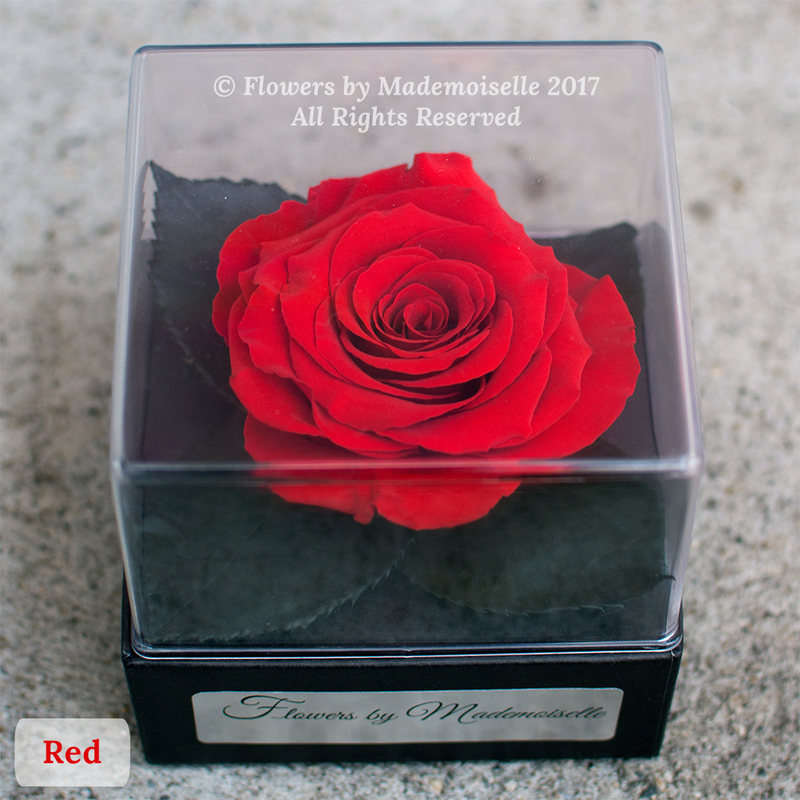 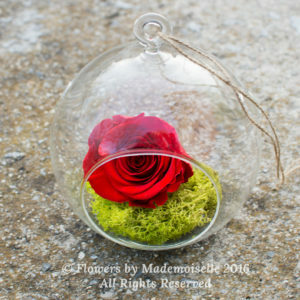 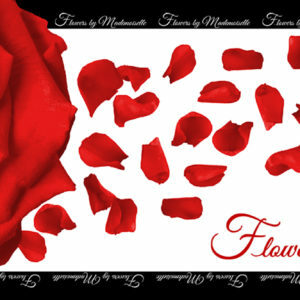 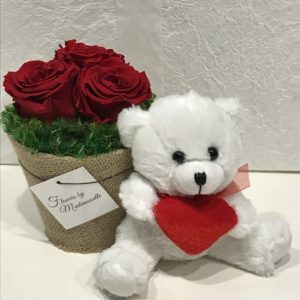 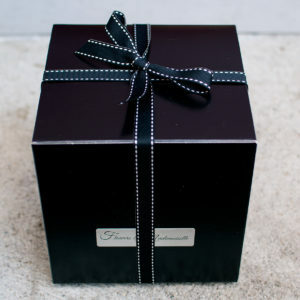 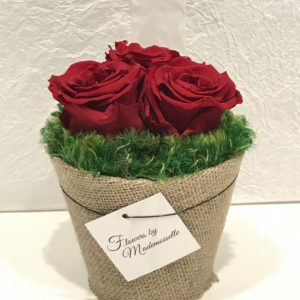 The rose is mounted on a mini-pedestal that can be removed from the box and placed on any surface or container of your choice.